No matter how you pronounce it, New Orleans is one of those vibrant US cities that I like to describe as one that satisfies the senses (taste, smell, sound, touch and sight). The White Sands National Monument was a must-see for me while in New Mexico. Thanks to Instagram, it quickly joined my bucket list (along with Iceland!). The Los Poblanos Historic Inn & Organic Farm is a bed and breakfast and farm with 25 acres of lavender fields, cottonwood trees and gardens. We recently checked into the Charles Hotel in the heart of Harvard Square for a staycation in the city. Full disclosure: I've never camped a day in my life. 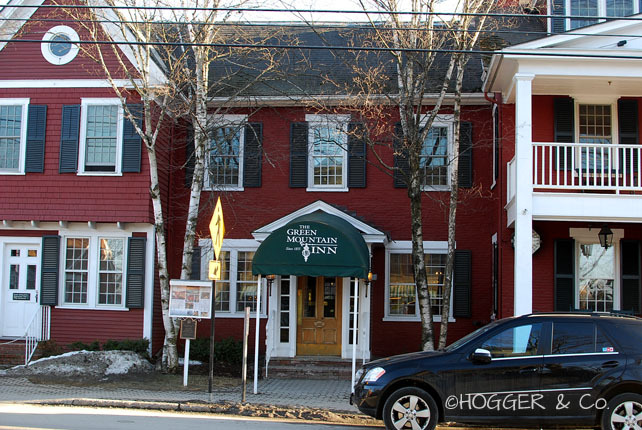 If you're ever in Stowe over Easter weekend, like we were, where not a whole lot is open, and the town is quite deserted, you had better have booked a room at the Green Mountain Inn. With all the cosiness and history of a charming lodge, all the ammenities you could ask for, all the luxury in the rooms (that you never want to leave!) and all the Green Mountain coffee you could drink, it's a wonderful place to stay. I wasn't even paid to say so!